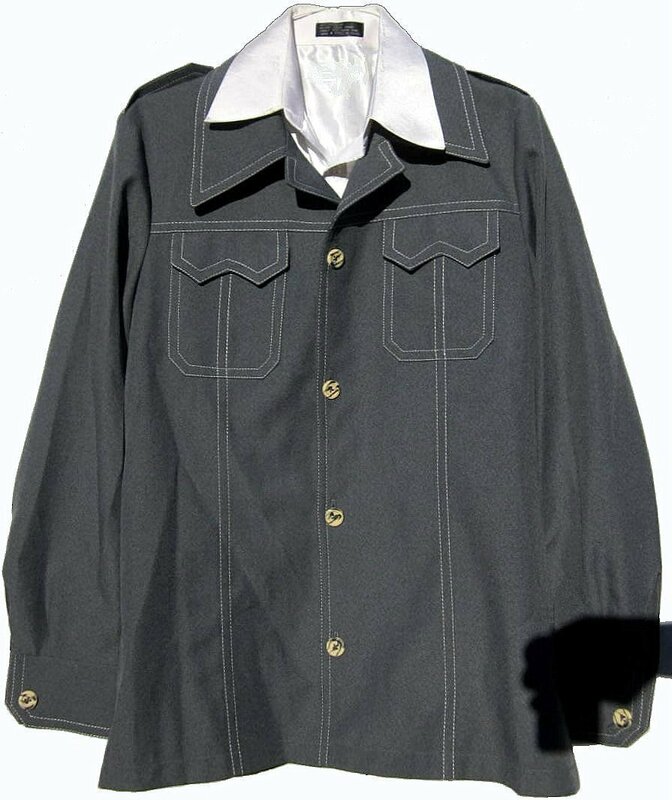 This polyester knit leisure suit jacket has a massive fly collar. The color is a mix of medium and light gray with white contrasting stitching. There are epaulets at the top of each shoulder. The fit would be a today's 40 or Medium as it measures 43" around at the armpit level. The length is 30". The shoulder is 18" (a medium). The buttons are a dark beige splashed with dark gray or navy blue. The jacket would match white, beige, gray or navy pants. It doesn't appear to have any wear other than from being washed a few times. Dry cleaning is fine, but not necessary.